Press releases are a public relations staple, but would you know how to write one well? Our media relations experts have created this handy step-by-step guide to help you share your news with journalists. Every organisation needs to know how to get their news heard – and press releases are still one of the most important ways of doing that. According to the dictionary, a press release is an official statement issued to newspapers giving information on a particular matter. Writing and issuing a press release can help your business gain valuable PR. But there are some essential points to bear in mind when getting your news down on paper. 1. So what? – The first thing every writer should ask themselves. Do you have something interesting to say? If not, why are you writing this? If it’s not something people want to read then go back and find the ‘story’. 2. The five Ws – It’s one of the basics of storytelling: who, what, where, when, why (and how)! Try and get this information in your introduction. Journalists are busy people and will often have to scan read the information they receive. So get the most important information at the top of your press release. Keep your sentences and paragraphs short and snappy. 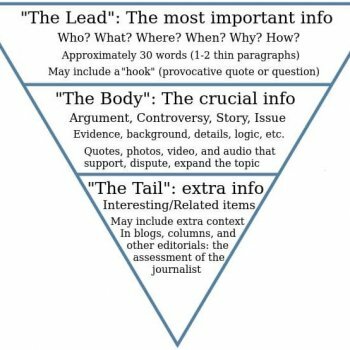 The inverted pyramid is a simple way to help you structure your work. 3. Plain English please – avoid jargon at all costs. 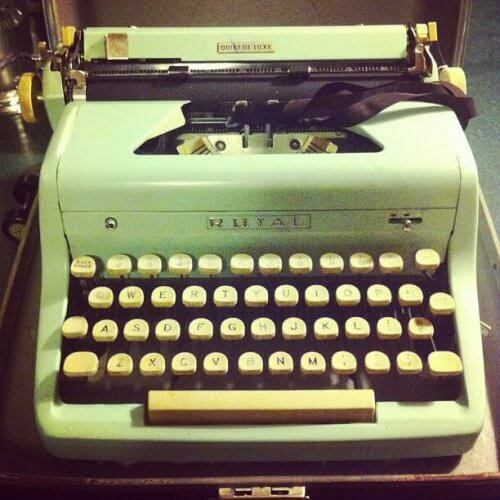 Write simply and concisely – why use 10 words when you can use three? If you’re are conveying complex information, put it into layman’s terms wherever possible. 4. Say what? – A selection of quotes are an essential element of any news article. Ensure you quote the correct person (check spellings!) and include their job title. Often the quote can become the story – so make sure what they are saying is interesting and adds value to the press release. Just like we want to avoid jargon in the body of the press release, we also want to avoid it in quotes too. Make sure the spokesperson sounds like a human being – not a corporate robot. 5. Word count – Journalists write to strict word counts. And so should you. You should be able to say everything you need to in around 350 words or on one sheet of paper. If the journalist needs more information they will request it. 6. For more information – And on that note, ensure you include your contact details at the foot of the press release. A contact name, telephone number and email address are all essential in ensuring journalists can get hold of you quickly and easily. 7. Pictures – Make sure you have some high resolution images available to accompany your press release. Journalists will always be looking for quality photography to accompany articles – it could be the difference between a full page lead or no coverage at all. The image should be representative of the news in your press release. And if you have quoted someone, you should also try to include a head and shoulders image (readers like to be able to see who is speaking to them). 8. Interviews and photocalls – If your press release relates to an event or you believe it would make a good photo or interview opportunity, why not invite the press? Ensure you provide all the information a photographer or journalist would need to get there including date, time (be flexible if possible), address (including postcode), a contact name and mobile number. Ideally the interview will be with the person quoted in the press release – so choose your spokesperson carefully. • Date: Ensure your press release has the date of issue at the top and whether it is for immediate use or embargoed until a specified date. • Headline: Include a succinct title which summarises the press release. • Notes to editors: At the end of your press release you can include any additional information for the journalist if necessary. Information such as company background, for example. Again, keep these notes straight to the point (a couple of paragraphs is plenty). If the journalist has any questions they will ask. • Attachments – send your press release in the body of the email and attach an easy to read format (such as a word document version as well). Images can also be attached but if they are large or there are several, then send them via a file share platform (such as a Dropbox or We Transfer) – because nobody appreciates their inbox being crashed! 10. Know your audience – journalists are busy people. Target your communications to the right reporters. For example, a food journalist will not want to receive news about cars. Spend ample time researching and compiling your media list. Sending relevant information to relevant people will be appreciated. You would be surprised how fast a journalist’s inbox gets filled up so don’t pester (especially on deadline – take a note of this at research stage). But don’t be afraid to pick up the phone to follow up your email. Conversations lead to contacts! And as the old saying goes, you are only as good as your contacts book. Ask if the press release is of interest, if it’s not, try to find out why. Don’t be disappointed, this information will help you tailor your communications in the future. Marketing and public relations agency Pelican Communications has launched a top tips guide to crafting the perfect press release. Jessica Beckett, senior communications consultant at Pelican, said: “As a former journalist I was delighted to put together this top tips guide. The step-by-step guide aims to help businesses and organisations understand how to write a press release. It includes information about writing style and formatting to understanding audiences. Pelican Communications, based in Manchester, delivers a wide range of services including media relations, content creation and design. It specialises in four markets: food, packaging and food production, environment and outdoor and leisure. The perfect press release top tips is the latest post on the company’s website www.pelicancommunications.co.uk where a wide range of expert knowledge blogs are also available. Pelican Communications is an award-winning marketing communications and PR agency dedicated to “Driving Brilliant Results” time after time. Voted Best Small Marketing Agency in the Prolific North Awards, we are experienced and passionate about our work and our clients. The idea of a specialist consultancy dedicated to specific markets was conceived by managing director and former newspaper editor Michael Bennett, after a decade of experience with major consultancies.